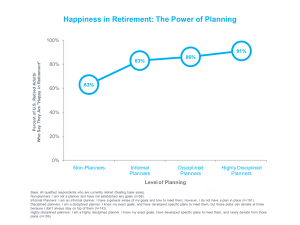 A recent Northwest Mutual study shows a connection between being a disciplined financial planner and being happy in retirement. 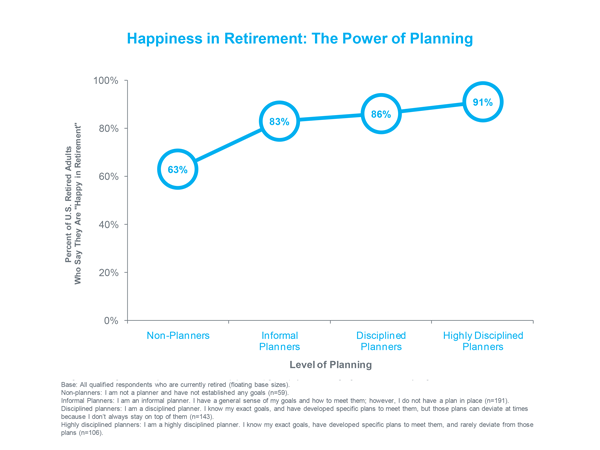 The study shows that highly disciplined planners — those who know their goals, have detailed plans to meet them and don’t deviate from those plans — are more likely than non-planners to say they are “happy in retirement” (91 percent vs. 63 percent). To download the complete study, click here.